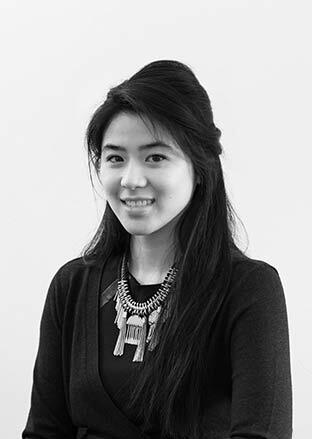 Meet Wai Yin Lee, one of ani M INTERIORS’ design team. Putting her BA in Fine Art and MA from Chelsea UAL to good use, she brings a love for spatial design and clever use of materials to all her work. AMI: What element of interior design do you enjoy most? WY: Sourcing products then choosing colours and texture to match. AMI: Where do you get your inspiration from? WY: Blogs on art and architecture, even other design companies’ portfolios, are a great source of inspiration. You can always learn something new if you look at a wide range of creative sources. AMI: What is your favourite building in London and why? WY: The British Museum for its mixture of old and new architecture. Its old Greek façade, which I could gaze at for hours, fascinates me the most because of the beauty and myths that surround Greek architecture and temples.The glass and steel construction roof of its new Great Court within the museum is just wonderful too. The geometric patterns created by the material that supports the structure and the amount of light it lets through has brilliant visual impact. The museum is a good example of how to integrate new elements into the old without disturbing the finesse of the original. AMI: What is your favourite art gallery in London and why? WY: It has to be the Victoria and Albert museum because of its wide collection of historical artefacts, decorative arts and design. Another reason I like the V&A is the temporary exhibitions it holds for the public. These can be pure contemporary art exhibitions or for design. Last year, for example, during the London Design Festival I discovered interesting innovations such as a dandelion circuit light where LED lights had been attached to the natural dandelion seed heads. Amazing and inspiring. AMI: What does a typical day at ani M INTERIORS look like for you? WY: It’s fun, crazy and busy. The office has a great working environment, we all bounce ideas off each other. One minute we are making each other laugh and the next we’ll be seeking each other’s expertise and advice on a project. AMI: What is the best thing you have learned so far from your colleagues? WY: To continue to challenge yourself and to never be afraid to ask for a second opinion. AMI: What is your own personal style at home? WY: I like the furniture to be simple, minimal and neutral so I can add strong splashes of colour such as red or blood orange. However, as these colours can overwhelm the space, I pay close attention to the soft furnishings. So my bedroom has cream walls and simple furnishings but my red patch duvet brings warmth and interest. It may be my parents’ influence as they always favour warm tones over cool ones. AMI: Who is your design idol and why? WY: Antoni Gaudi because of the unique forms of his buildings. Sagrada Familia is a great example. I could sit inside admiring it all day; the white interior is illuminated by the colourful stained-glass windows. Being inside makes my worries go away and it feels as though time has stopped. I can sit quietly in thought and feel positive, that’s the power of beautiful design. AMI: If a movie was made of your life, who would play you? WY: I can’t think of an actor but the character I can closely relate to in a movie is Joy in Pixar’s Inside Out. If you would like to see how your interior could benefit from the design talents of Wai Yin and the team then get in touch today.